We have already a copy of Leo Madigan’s book translated into Latvian. We believe that its title says "Blessed Alexandrina da Costa, Mystic of Fatima and Martyr." The book has 174 pages and uses a very small form. Substantially at the center, there is a set of color photographs. I have had several orders for my Alexandrina book; fifty went privately to Singapore, as well. We know that there is a young and active lady devout of Alexandrina in United Arab Emirates, many people in Lebanon, in Australia, and so on. About UAE, you can read here. 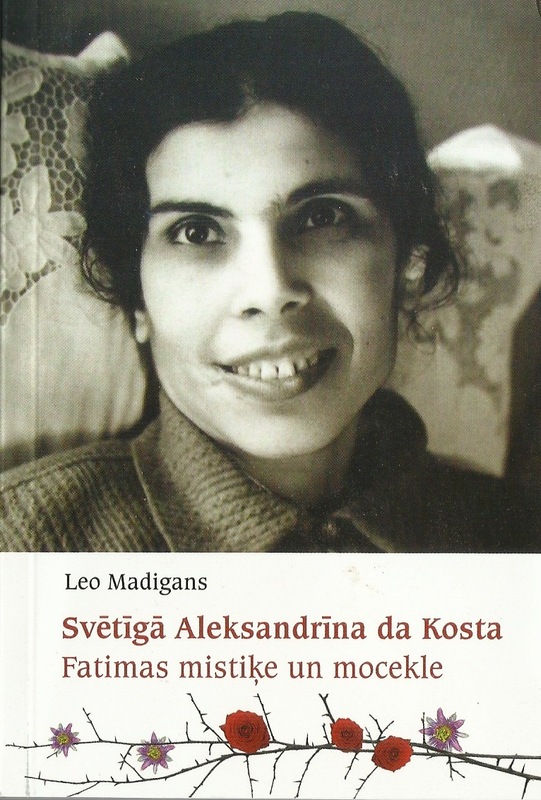 We hope to receive soon a copy of a book on Alexandrina translated into Latvian. 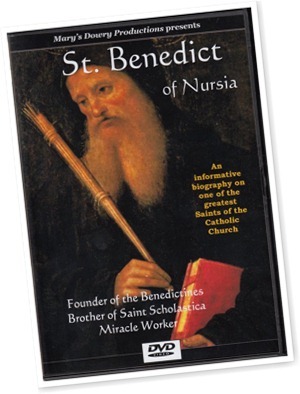 Saint Benedict of Nursia New DVD Release! For a detailed and easy biography on the life and mission of Saint Benedict, this is a useful and enjoyable film that combines history and Faith in a simple but original presentation. Using paintings and frescos of St. Benedict, footage, photographs and especially produced imagery, St. Benedict tells the whole fascinating story of his life, from his early years in Italy with his dear Sister Scholastica, his studies in Rome, his abandoning of the world and his hermitage with only the priest Romanus as an occasional companion, through to his founding of the great Abbey of Monte Cassino, his meeting with Totila the King of the Goths and his final days. Miracles and revelations permeate the unique life of this great Founder and Saint who remains one of the most popular Catholics in the history of Christendom. With a Run Time of 38 Minutes this DVD is now available worldwide in all Region Formats from http://www.marysdowryproductions.org/ or Amazon.Com or Amazon.Co.Uk. This Lent a series of lectures, sponsored by Tuitio Fidei and on the Blessed Alexandrina, is taking place at the Faculty of Theology in Oporto. It began on February 23 and will expire on March 29. You can see here the magazine which published an article on Bld Alexandrina – but not the article… The magazine belongs to the World Apostolate of Fatima. 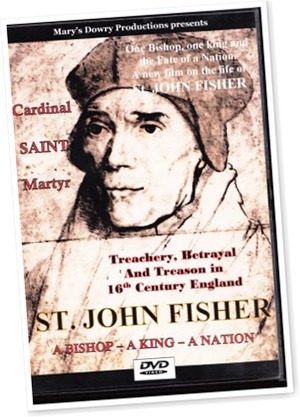 This is the first DVD on St. John Fisher, the gentle, devout but immovable Bishop of Rochester who shares a feast day with St. Thomas More. Loved by thousands today for his priestly example, this documentary will not fail to please those who already admire him, and those who perhaps only know scant details of his life. Presented with a rich and carefully documented corpus of imagery, details and English history, characters such as Lady Margaret Beaufort, Kings Henry VII and Henry VIII, Anne Boleyn, Thomas More, Thomas Cromwell and many others make this journey of history, politics and the Catholic Faith in 16th Century England. Available now worldwide from www.marysdowryproductions.org or www.Amazon.com or www.Amazon.co.uk.